Educational Psychology research papers discuss the study of how human beings learn. 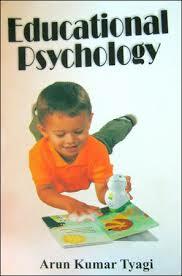 Educational psychology is the study of how human beings learn. Drawing upon several major schools of thought, including operant conditioning, structuralism, Gestalt psychology, functionalism, information processing, and humanistic psychology, researchers seek to understand the differences in behavior and learning processes. Educational psychology relies heavily on testing, assessment, evaluation, and training in order to improve the educational experience. Modern educational psychology emerged beginning around 1890 with the pioneering work of William James. His book Talks to Teachers on Psychology (1899) is considered to be the first educational psychology text. Alfred Binet began attempting to discover ways of identifying and helping children with developmental disabilities and was instrumental in developing the Stanford-Binet intelligence test. Jean Piaget developed the theory of cognitive development, which led to the understanding of the progression of intelligence. Educational psychology has been used to create theories of classroom management and pedagogy in order to guide practice. The goals are to create a positive learning environment in the classroom, allowing students to self-manage and succeed. Relying on pure observation and quantitative testing methods, educational psychology, as a career field, is one of the fasting growing in the United States today. Journal of Educational Psychology research papers discuss the psychological connection and educational growth that future educaters need to understand. Paper Masters writes custom research papers on Educational Psychology and discuss the study of how human beings learn.